During my senior year at SJR, I took an opportunity to register for a new Engineering course offering. We were challenged throughout the year with different projects, highlighting many facets of engineering from mechanical to civil to biomedical. For the first semester in my final year, I earned a position through SJR's internship program at Multiphase Electrical Services, which is owned by Mr. Dan Kelly '87. It was great to see every day application of classroom learning through my internship. I would learn specific principles during class and then apply them to real-world scenarios after school at Multiphase. I decided to continue on an engineering path at UConn, majoring in biomedical engineering as a freshman. This summer, I was able to once again use connections from Green Knights to secure an internship at Becton Dickinson (BD) in Franklin Lakes. Mr. Jude Cancellieri '93 is a Senior R&D Manager with BD and spoke to my class at Career Day. He helped me through the application process and I got started in June. 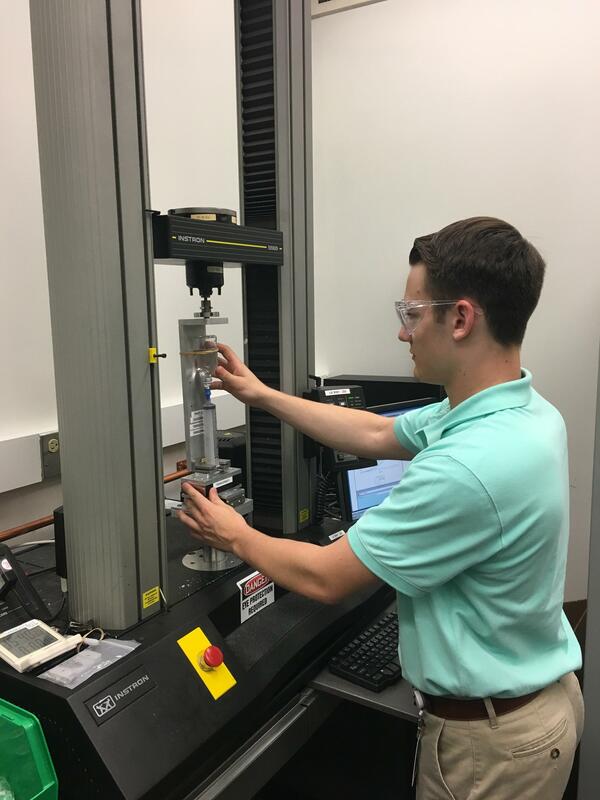 I am able to use the fundamentals I learned in the classroom and the real-world scenarios I first encountered at Multiphase to assist in the production of various types of medical instruments and reagents, varying from syringes to drug transfer devices. SJR's engineering class led me to a great internship, which will continue to provide learning experiences and networking opportunities for my future.